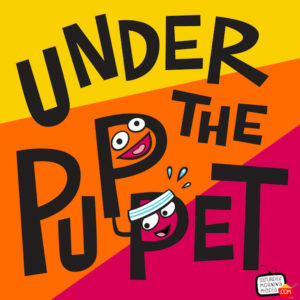 http://www.underthepuppet.com – Under The Puppet is a monthly show that talks to working puppeteers about the art and business of puppetry. Guests will include puppeteers from The Muppets, Sesame Street, The Jim Henson Company and more. The show also covers other forms of puppetry such as marionettes, shadow puppetry and Bunraku . Hosted by puppeteer Grant Baciocco (The Jim Henson Company, Mystery Science Theatre 3000).